A wife of a U.S. Coast Guard member, Stacey Benson, helped organize a large scale food pantry in Astoria for Coast Guard members who are impacted by the government shutdown. The pantry was organized by Be the Light and also the MOMS club of Astoria. 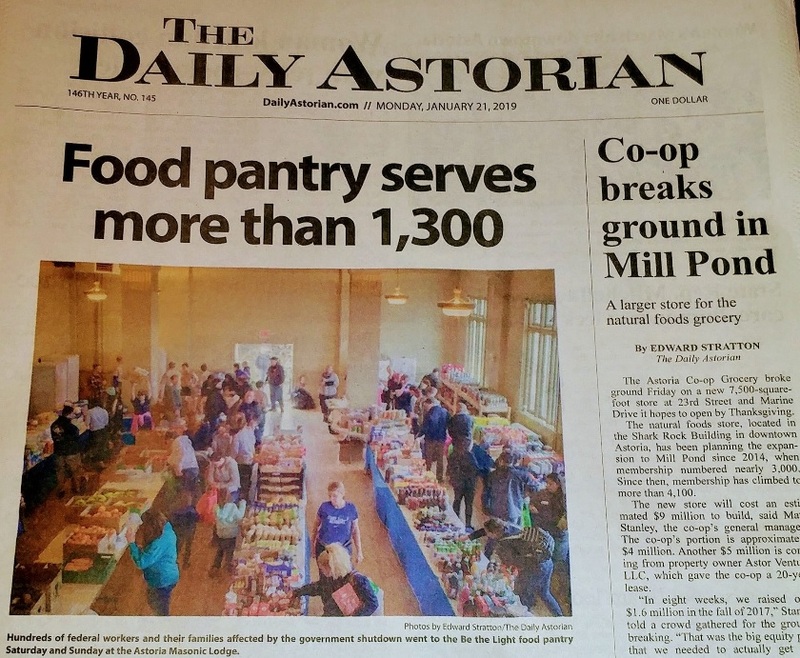 The Astoria food pantry offered free food, clothing and toiletries for Oregon Coast guard members. In similar news a Seattle man raised $47,000 to help workers impacted by the government shutdown with a food program.